I have all kinds of readers of my books and of my blog, so I try not to get up on the soapbox too much, lest I head down the path of ESPN and other entertainment entities who are decimating their own popularity by shoving political rhetoric down the throats of paying customers who just want to relax and be entertained. But whenever the subject of liberty comes up, I feel justified in mouthing off, because, were it not for the fact that I was born in the freest country in the world, I might not have the opportunity to write and publish books and make money doing something I love. Consequently, I must today step up and spout off about some remarks that Hillary Clinton made in her recently published tome, What Happened. Attempting to define reality is a core feature of authoritarianism. This is what the Soviets did when they erased political dissidents from historical photos. This is what happens in George Orwell’s classic novel Nineteen Eighty-Four, when a torturer holds up four fingers and delivers electric shocks until his prisoner sees five fingers as ordered. The goal is to make you question logic and reason and to sow mistrust toward exactly the people we need to rely on: our leaders, the press, experts who seek to guide public policy based on evidence, ourselves. Wow, a lot to unpack here. 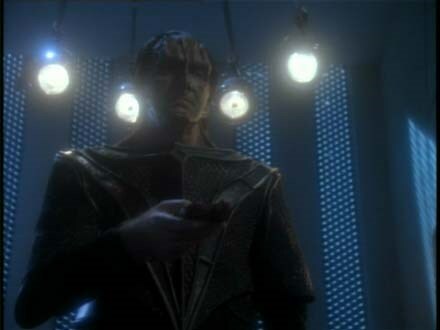 First, and most importantly, for those of my generation: yes, Orwell’s four fingers was cleverly re-enacted in a famous episode of “Star Trek The Next Generation”, wherein Picard is captured by the evil Cardassians (not to be confused with the Khardasians) and tortured about seeing five lights rather than four, but that is a nerdy digression. Back to Hillary and her painful misinterpretation of Orwell. Hillary accurately points out that an authoritarian state must control reality, i.e. public perception, in order to achieve its ends, however, she clearly skipped class the day the teacher was explaining the underlying theme of Nineteen Eighty-Four, since she totally doesn’t get it. And if she promulgated the “we need to trust our leaders, the press, and experts” theory for her book report, I guarantee she got a big fat F. The real point of Nineteen Eighty-Four, for anyone who’s actually read the book (or at least the Cliff’s Notes), is that we must never fully trust and rely upon these sources if we are to avoid devolving into a totalitarian society. The freedom that we so richly cherish is dependent on our having free and open access to myriad, uncontrolled sources of information and interpretation. There is no liberty without skepticism and doubt. The day we stop questioning everything, absolutely everything, is the day we imprison ourselves. Hillary may not be president, but I would argue that she is still a leader. She is a leading member of the high-and-mighty, morally superior Cabal of Thought Police in our country that includes the owners of Facebook, Google, and Twitter, and most of the mass media. These are the people who routinely trot out phrases like “hate speech”, “settled science”, and “experts agree”. The more someone tries to convince you that there are not two sides to an issue, that there is no question about what they are saying, and that you are an idiot for asking, the more likely it is that they are wrong. And that they know it. When one is convinced of his position, he welcomes debate. When he knows he is on shaky ground, he shouts you down and shuts you up, or in the modern era, closes your account, blocks your content, and calls you a racist (regardless of the topic). In other words, Madam Secretary, it is your folks who are playing the role of Big Brother here, and we all know it.